with kale pesto, beetroot hummus, veggies, nuts, grapes, and olives. Like many do each new year, I also made healthy new year’s resolution. I started working on my health journey a few weeks before we said goodbye to 2018 though. If you follow me on Instagram, you might have read about my PCOS diagnosis. I struggled with my weight over the past few years, but I also always knew that there was something wrong and that my eating habits might not have that much to do with my weight gain. 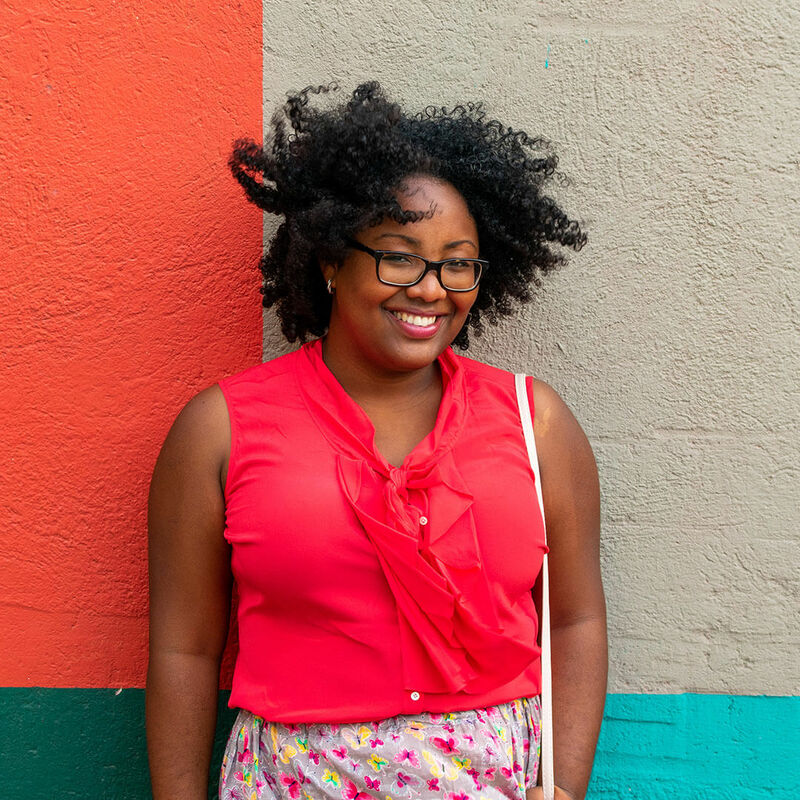 While being diagnosed with PCOS gave me peace of mind, it also demanded changes in my life. In order to increase my chance of getting pregnant, I have to lose weight but unfortunately, PCOS doesn’t make this task very easy. This year, I decided, will be my year of ACTION. I will take conscious steps to make my health, mentally and physically, a priority in my life. I will take charge and do more instead of thinking more. On one of my Instagram story, I also asked what you’d be interested in seeing (more) on my blog. Healthy recipes was a big one! 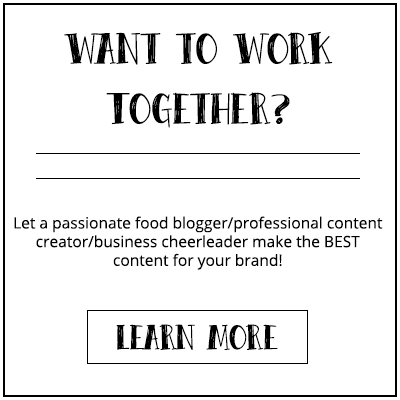 Creating healthy recipes for entertaining at home that everyone will love is no easy task. But, with more people having a restrictive diet or being more conscious about their food, I think it’s worth experimenting with recipes for healthy dishes. 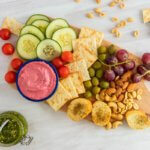 One idea that has been long on my list was creating a healthy vegan appetizer platter recipe. 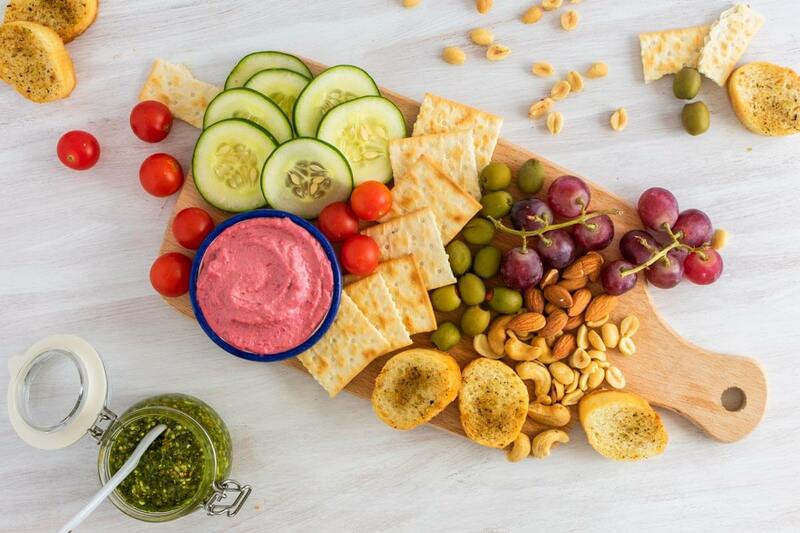 Platters are a must when entertaining at home. Their easy to assemble and requires minimum effort in the kitchen. 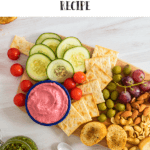 I wanted to create a beautiful and tasty healthy vegan appetizer platter recipe that was different than the boring and cheap-looking veggie platters that are most common. Something that makes people want to dig in and even forget that the platter is low on carbs and has no sugar. 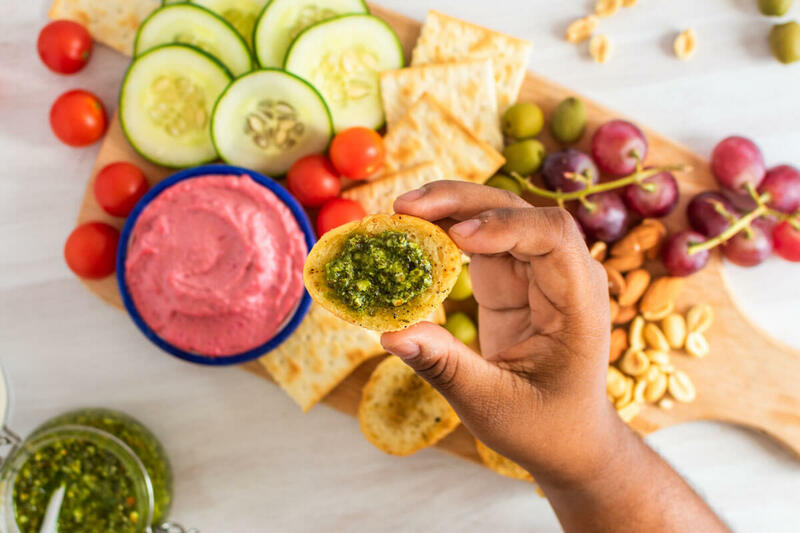 On this healthy vegan appetizer platter recipe, the kale pesto takes center stage. It’s a recipe from Pinch of Yum and you can find the recipe here. It just takes a few ingredients and you can do it in a whip, literally. You can switch the bread and crackers for gluten-free bread, but I have yet to find a gluten-free bread recipe that actually tastes good. Also, if you’re serving it to people who don’t necessarily need something healthy, then using a gluten-free bread would be a little too much. Nevertheless, it’s a platter so you can go as bananas as you want. 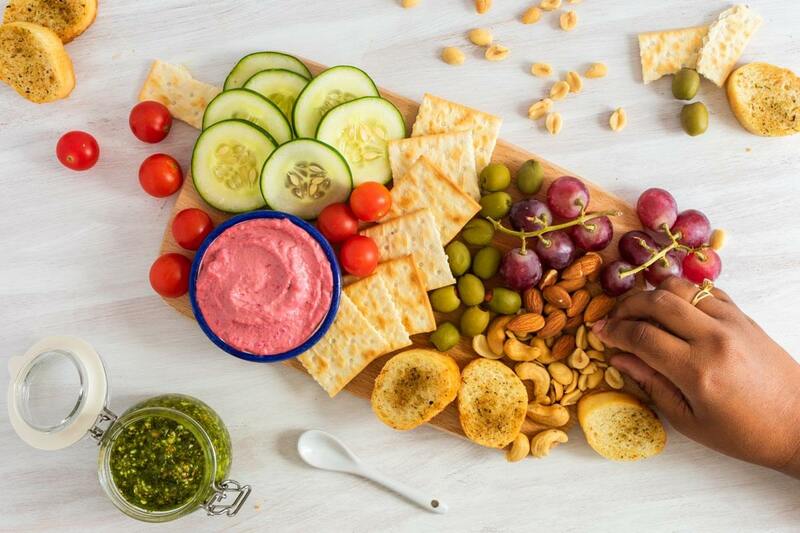 A delicious and healthy vegan appetizer platter with kale pesto, beetroot hummus, veggies, nuts, grapes, and olives. A must-serve when entertaining at home! Line the baguette slices on a baking tray, drizzle with garlic oil, and sprinkle with Italian seasoning. Bake the break for around 5 to 10 minutes or until slightly crunchy. Take a serving tray and assemble the platter by placing the bread and crackers first. Then add the hummus and kale pesto in a small bowl and place it on the tray. Make sure to leave enough room between the items. In the open space arrange the olives, cherry tomatoes, cucumbers, grapes, and nuts.